Management procedures (MPs) based on data-limited methods (DLMs) recently developed to give management advices for data-limited stocks worldwide are scarce or yet to be implemented on freshwater species. 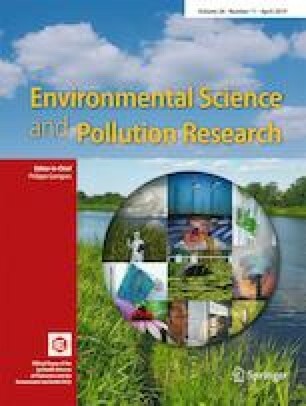 In this study, case studies (CSs) were developed using length-frequency data (LFD) of common carp species harvested from Dianshan Lake to estimate life-history parameters from existing methods. These CSs were later used to examine their influences when tested with various MPs under scenarios when operating models (OMs) were subjected to observation and estimation uncertainties. The results after management strategy evaluation (MSE) was run for various defined OMs showed that three MPs emerged best for providing managing advice. For high yield to be maintained during short-term periods, MinlenLopt1 suggested the smallest length at full retention (sLFR) to be 42.11 cm; while Slotlim and matlenlim2 suggested that to maintain biomass and stable spawning biomass (SBMSY) and also avoid overfishing from occurring in this fishery, sLFR should be 56.1 cm. Values given by these MPs allowed the removal of species that spawned at least once. Also, life-history parameters derived from CS4 presented the best results, being more reliable in presenting better inputs for effective management of the said fishery. We thank all the individuals, including staffs and students of the College of Marine Sciences, Shanghai Ocean University who assisted with data preparation and for supporting this study. The authors are also grateful to the developers of TropFishR and DLMtool for their splendid work and technical support. We would also like to thank the handling editor and the two anonymous reviewers for their suggestions and comments that helped to improve this paper. This study was funded by the Shanghai Municipal Council. Hordyk A, Newman D, Carruthers T, Suatoni L (2017) Applying management strategy evaluation to California fisheries: case studies and recommendations. Data Limited Methods Toolkit. Available: https://www.datalimitedtoolkit.org/wp content/uploads/2017/07/Applying MSE-to-CA-Fisheries-Case-Studies Recommendations.pdf. Accessed 06 Oct 2018. Sun M, Zhang CL, Chen Y, Xu BD, Xue Y, Ren YP (2018) Assessing the sensitivity of data-limited methods (DLMs) to the estimation of life-history parameters from length–frequency data. Can J Fish Aquat Sci: 1–10 https://doi.org/10.1139/cjfas-2017-0325.